Louis C.K. is one of the smartest guys in Hollywood. That may seem a little bit like stating the obvious, considering the veteran stand-up comedian has one of the best (and not to mention smartest) But first, Louis C.K. hosted Saturday Night Live for his second time, and if know anything about Louie, then you know it was a can't-miss episode. 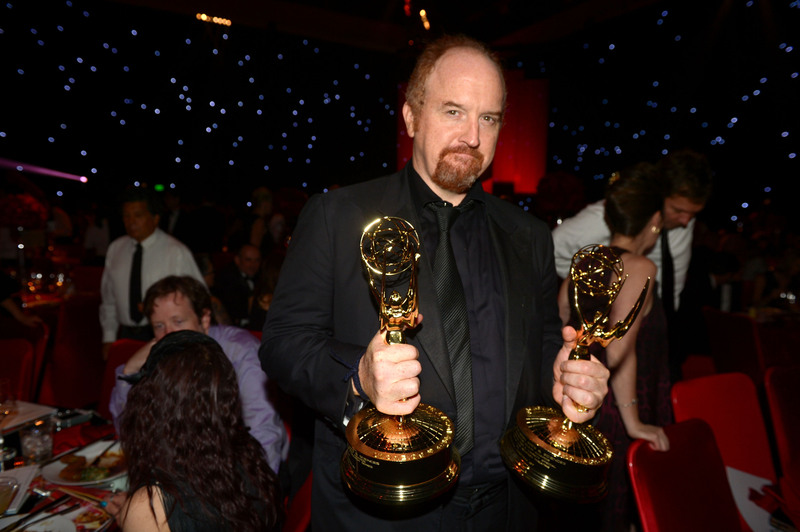 But, let's be honest, the thing all fans are waiting for is Season 4 of Louie, his incredible, off-beat, award-winning series Louie. Lucky for us, the wait won't actually be all that long. After a brutal 19-month hiatus, Louie will return with seven weeks' worth of new, back-to-back episodes. (Just in case that news wasn't awesome enough, Louis sweetened the deal by tacking on an extra episode to the season, making 14 in total for what was originally supposed to be a 13-episode season.) Season 4 of Louie will debut with back-to-back episodes at 10 PM on Monday, May 5 on FX. There's not even a shadow of a doubt that this will all have been worth the wait. No, Louis C.K. is not only a whip-smart, trailblazing comic tour-de-force, but he's also incredibly showbiz savvy. Chalk it up to gaining fame at a later stage in his career or that he is a guy who just gets it, but the in-demand Louis C.K. has made himself pretty sparse over the past year. It's a maneuver that's practically unheard of in the comedy world when someone is having a "moment." Just as Louie started to hit its stride, creatively, as well as with critics and audiences, Louis C.K. used his television hiatus time to tour, take on a few supporting roles in movies (namely, awards-friendly movies Blue Jasmine and American Hustle), and give himself time to actually work on Louie, rather than just churn it out. Though we've been able to see him at the occasional awards show, on his HBO specials (and his bizarre first movie), inadvertently razzing Bradley Cooper, or popping up on Jerry Seinfeld's Comedians in Cars Getting in Coffee , it's still not enough Louie. But, at long last, the winter of our discontent is coming to an end.